office employees had gathered for the occasion and pinned a small National Flag of India in their dress. competed against each team which was filled with fun. employees in all the games was very good. We are proud to share the cool celebrations which we had at our Madurai office to rejoice the Independence Day of India. As the significant day of the year was approaching, we decided to celebrate it at our office in advance. All of our Madurai office employees had gathered for the occasion and pinned a small National Flag of India in their dress. 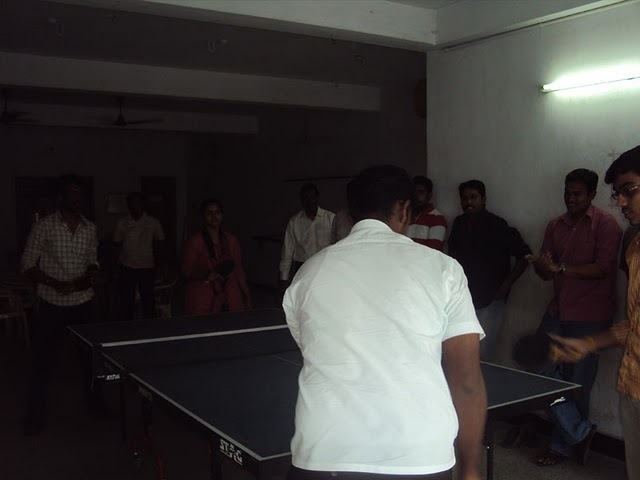 We started the celebrations with a game of Table Tennis between ourselves, then we had an Antakshari game in which all of the employees participated and sung songs. It was a happening moment at the office when we had divided ourselves into teams and competed against each team which was filled with fun. Following the Antakshari game, all the teams were challenged with a game in which one of the team member’s eyes will be wrapped in a cloth and they will need to paste a small piece of sticker in the specified position of a small picture. The way each team member approached the destination was fun to watch. The amount of participation and enthusiasm in midst of the employees in all the games was very good. JAI HIND ! VANDE MATARAM !!! Previous Entry Why outsourcing companies prefer to hire a dedicated php web programmer or developer?